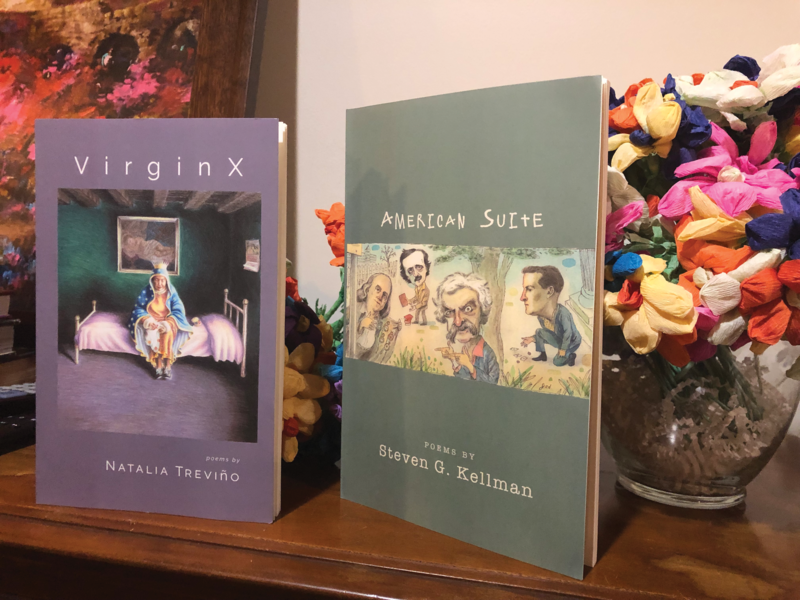 Students, professors, colleagues, English fanatics and poetry lovers alike gathered at the San Antonio Library Foundation to celebrate UTSA Professor Steven G. Kellman, Ph.D., and UTSA alumna Natalia Treviño for their double-book launch on Nov. 9. UTSA Professor Wendy Barker, Ph.D., started the night with a warm introduction and expressed how thankful she was for everyone in attendance. 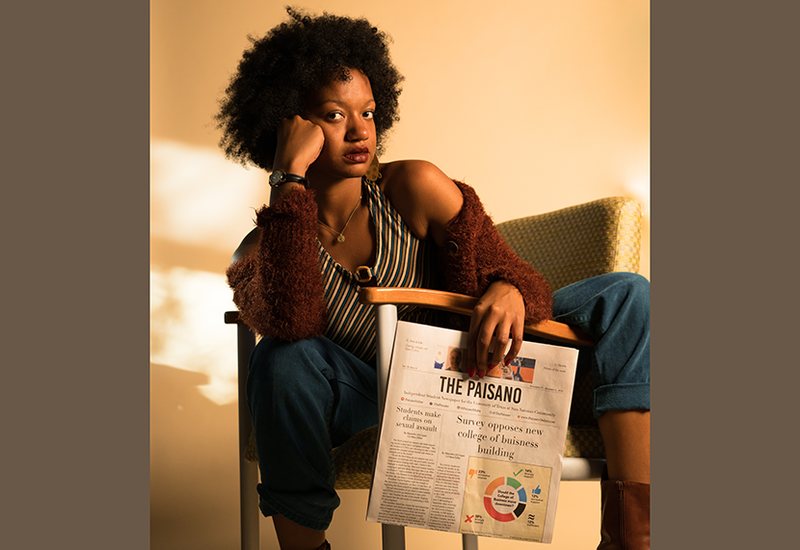 “We need each other and we need poetry,” she stated regarding the events occurring in today’s world. Treviño was born in Mexico City and became a naturalized citizen at the age of 15. She received her M.F.A. at the University of Nebraska and has received numerous awards such as the Alfredo Moral de Cisneros award. Treviño is an associate professor at Northwest Vista College and has published fiction, poetry, numerous anthologies and journals. “Virginx” explores the Virgin Mary and the Feminine Divine — the journey of this poetry collection began on Facebook with an image of a drawing of the Virgin Mary. The image she saw is also featured on the cover of “Virginx” titled “Por Las Tardes le Gusta Bordar” by California artist J. Michael Walker. “I was sobbing and I didn’t understand why. I tried to figure it out, and I knew it had something to do with my own “great mother,” my grandmother Maria de Socorro,” Treviño said. To Treviño, the image represented the divinity in all mothers, and the act of creation that is in all women. The religious and secular worlds unite in one space and with that unity, Treviño was able to explore the divinity we see within one another. Another poem that comes from the series titled “III. Migrating La Virgen,” Treviño places the reader in the place of an immigrant crossing the border while praying to the Lady of San Juan de los Lagos. It is read as a conversation, asking for the blessed mother’s guidance as they make the journey across the Rio Grande Valley. After Treviño concluded her readings, Barker began her introduction to Kellman and his collection of poetry titled “American Suite.” “For most of you, he needs no introduction. To call Steve prolific wouldn’t begin to do justice to his publishing record,” she said. Kellman has published and edited 18 books including his much praised biography “Redemption: The Life of Henry Roth” and has many honors such as the New York Society Library Award for Biography. He has served on the National Book Critics Circle on the board of directors for four terms and served as vice president for six years. Kellman has taught comparative literature at UTSA since 1976. Kellman suggested to the audience that the book be called “American Sour” instead and before reading, permitted the audience to groan. “American Suite” is an attempted raw take on the history of American literature which focuses on literary figures such as Benjamin Franklin, Phyllis Wheatley, Philip Roth and other contemporaries. Those more familiar with American literature would find this collection hilarious. 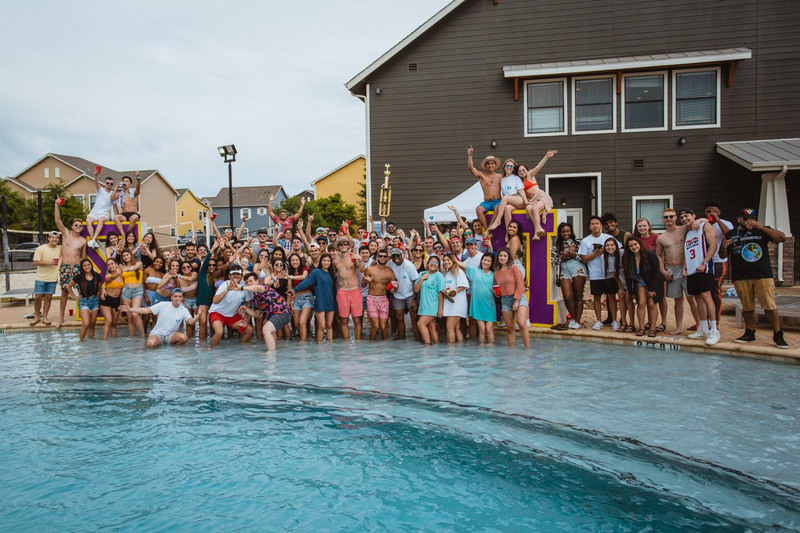 In his poem titled “The Great Gatsby,” Kellman writes about F. Scott Fitzgerald’s James Gatz pining for the mysterious green light on the dock but doesn’t realize the light has changed. Like this poem, the rest of the collection are short written verses with funny takes on different authors and their works. After many laughs from the audience, the night ended with a final thanks to both authors for their contributions to poetry. If you would like to purchase “Virginx” or “American Suite,” please visit Finishing Line Press’ website, https://www.finishinglinepress.com/. Be on the lookout for more work coming from Kellman, he is publishing three more books in 2019!